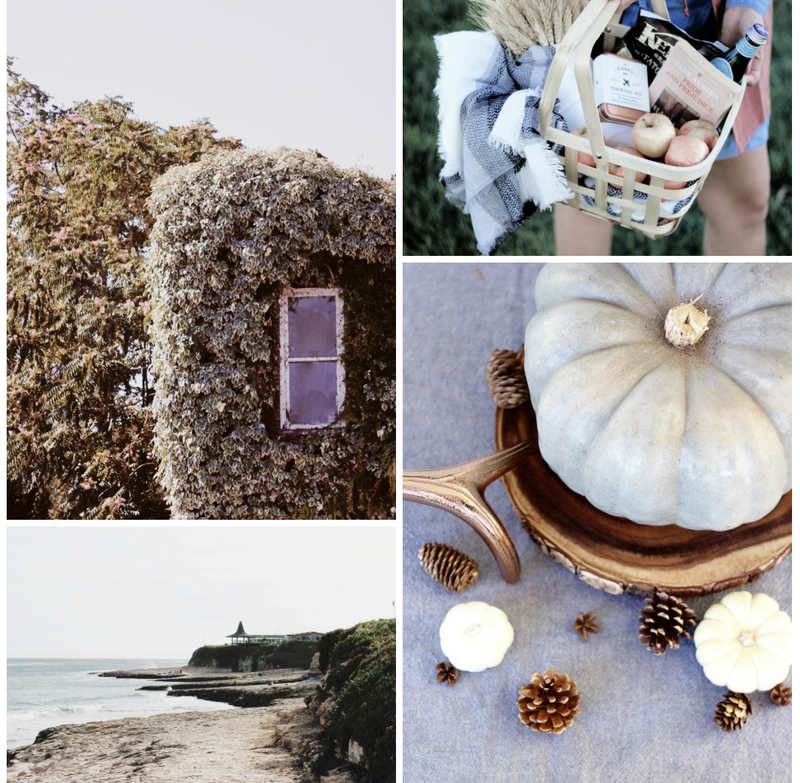 This fall moodboard is all about embracing California's fall. It's not the bright oranges, yellows, and reds mixed with plaid while apple picking in the Northeast but it's beautiful and cozy in its own unique way. California has taught me so much about minimalism and relying on textures and the line or cut of pieces to make them interesting-rather than relying on bright colors. It reminds me of the difference between a classic, well made little black dress vs. a flashy, patterned piece. While the flash is fun for the time being it wears off. Trends come and go and sometimes flashy and colorfully printed can be too much.I was inspired by this minimalist idea when creating my mood board and explored a muted color palette of olive green, gray, white, copper and burgundy with images that were rich in texture or movement through the lines. It completely inspired me and really put me in the "California Fall" mindset. Who needs piles of leaves and hayrides?!? (Lies, I would jump at doing that in a heartbeat if it was an option. BUT I am really starting to embrace the golden coast's approach to crisp weather). NOTE: All images are The Abstract Life. 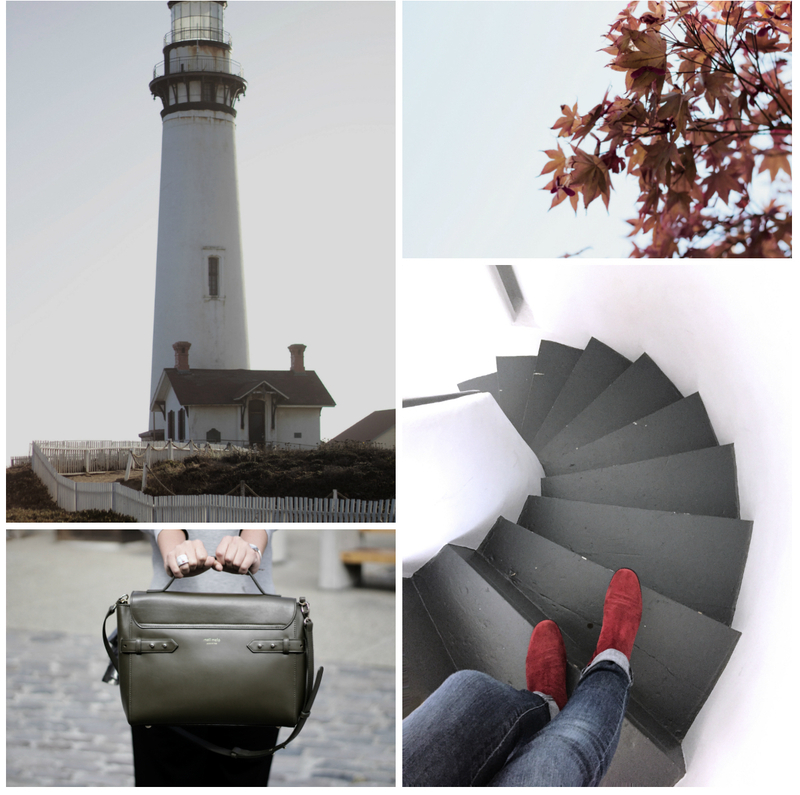 Have you ever created a moodboard? Do you find you are inspired and better able to translate your ideas when visuals are used? What do you think of this alternative fall color scheme? 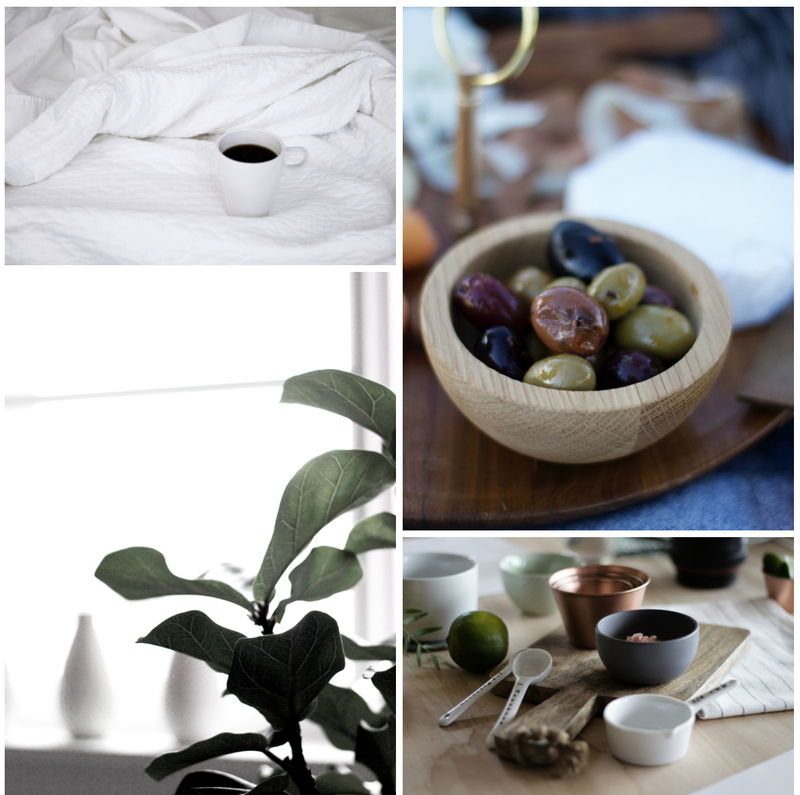 Would you like to see more moodboards? My daughter lives in California and we love visiting in the fall. No, I've never created a mood board. I do have an Autumn Beautiful board on Pinterest though, but I don't think those are the same things. What did I think of your color scheme? It's not what I think of when I think of fall, but I also don't live in California. The color scheme to me seemed more early winter. Glad I could expose you to something new and outside the box then!